Last year I saw a post on Facebook with a meme that wished for fixed knees from Santa and I remembered that I had the same wish for a very long time a few years ago. The physio said I should strengthen my thighs, avoid high-impact sports and stretch regularly. I've been doing that for quite a while, but without significant improvements. The recommended exercises were also not much different to the ones I had been doing. The knee braces did help to reduce the pain during training. I started to bring them to every class. But I didn't want to depend on them, so I only wore them when I started to feel unstable. However, once I took them off I was again reminded of my old, annoying friend. Over the years my knee supports travelled with me from event to event – I had them in Lisbon, in the Basque and a few times in Cambridge. 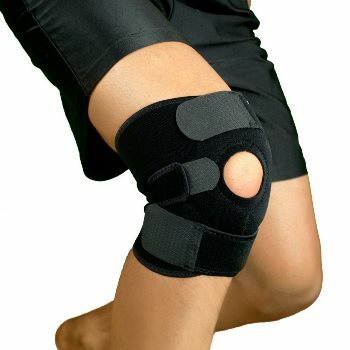 ​I didn't want to wear knee supports all my life and since I didn't see my knees and feet improving I kept looking for other possible methods to help myself. I tried a tennis, squash or golf ball for self-massaging, but the tool that stuck with me in the end was a plasitc deep tissue massage tool – called the Knobble (blue thingy in the picture below). It really digs into muscles without much effort. ​When I was looking for massage slippers I found one of the most amazing muscle tension release tools ever. 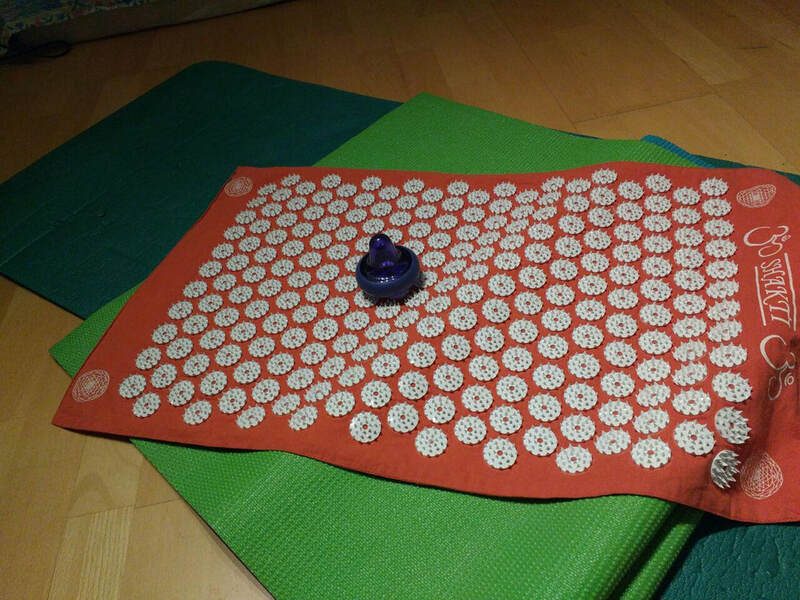 A mat with a few thousands nails – the shaki mat. It's been a life saver and I still use it regularly. Remark: Be aware of the many imitations sold online! The most life-changing tool I've discovered has definitely contributed the greatest amount in fixing my knees and feet. It is much more than a simple tool. I would say it's rather a whole toolbox with many surprises inside – Resistance Stretching. I bumped into Luther Cowden's self-stretch videos online and read through his website. It all made sense and I was very excited to give it a try. When trying out the stretches I immediately noticed that they did something to my body. It's hard to describe (maybe because it's been such a long time), but they weren't causing any pain and actually felt good! I experimented with the stretches for a while and came to the conclusion that it wasn't just a coincidence that my knees were feeling better – it was actually the effect of those resistance stretches! I couldn't believe it! I finally found something that worked! Now I was more than ever determined to fix my knees and get rid of my knee braces. I tried to spend time every week to go through all 16 resistance stretches. It was difficult to keep training Capoeira regularly without over-training and potentially injuring myself as those resistance stretches can be very exhausting. There have been ups and downs with tight muscles, tendons and clicking and painful joints. I treated them with my shakti mat and lots of rest and massaging. I told myself that these temporary nuisances resulted from me gradually changing and correcting my whole body structure. 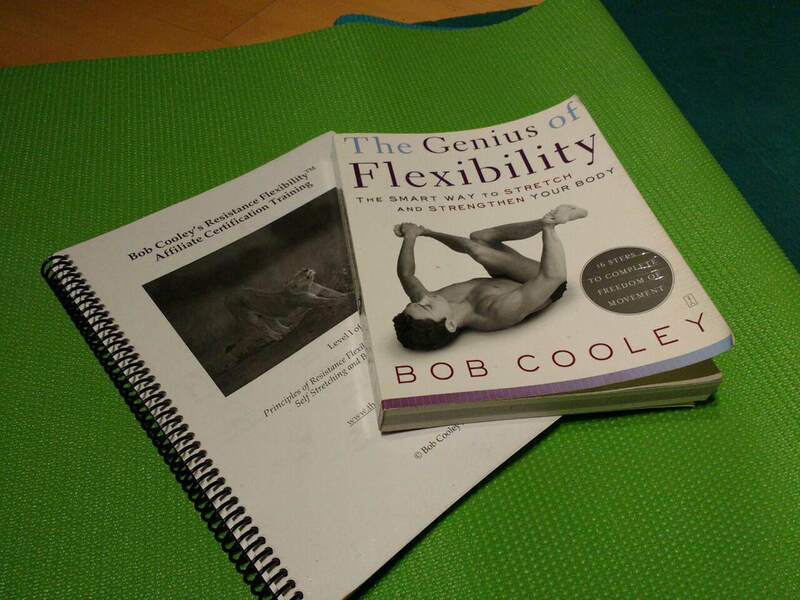 I was (and am still) extremely happy and thankful to have discovered Bob Cooley's Resistance Stretching. As I was primarily focused on my knees I hadn't noticed the other changes I have slowly been going through. During my Capoeira training I became aware that I had changed much more than just my knees and feet. Some of other pleasant side-effects I could identify are: the range-of-motion in my spine and shoulders have improved, I've built up a sound amount of core strength; and I am generally feeling more energised and recover much faster – I feel like my body is a lot fitter and younger than a few years ago. I can't say how much is due to Resistance Stretching and how much is due to Capoeira training and other things, but in my opinion Resistance Stretching played a big role in it. It helps to balance out the body in multiple ways – and it does that in a safe and consistent way. These change were also accompanied with changes in my habits and life style in general. Instinctively, I started to reduce or even get rid of habits which didn't benefit me anymore or which I believed could potentially harm me. I stopped my regular passive, dynamic and PNF stretching and gradually replaced them with Resistance Stretching. I learned to stand throughout my working day to avoid sitting on my hamstrings for a prolonged time. After a longer period of resistance stretching and a partner stretch session in the genius of flexibility center non-physical changes in my well-being such as physiological, emotional and psychological became clearer and noticeable as well – but that part of myself is still for me to explore. I've been Resistance Stretching for about three years now and while it isn't perfect I believe it can be of benefit to many people with similar or even different kind of problems. Hence, I've been sharing my experience with friends and family to inspire them take up Resistance Stretching. I created a Resistance Stretching Community in Edinburgh facebook group, where I try to run stretch sessions for friends in Edinburgh (and Glasgow); and I've started a public Telegram channel where people can join me and do the resistance stretches at home. Throughout my past years I've realised that changing oneself takes a lot of time and effort and that maintaining (or improving upon) those changes will require even more time and effort – and I'm happy to spend that time and effort to see what I can achieve.